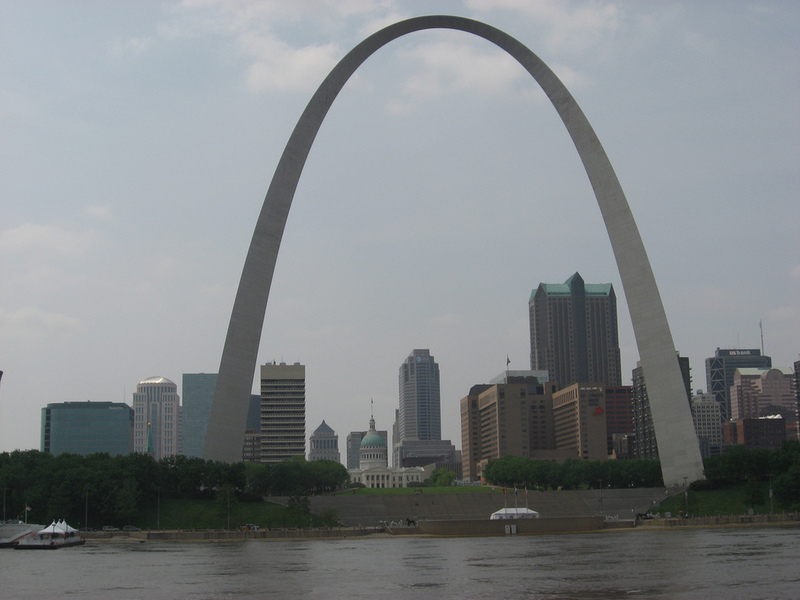 There is a strong link between St. Louis, Missouri and Austria which has existed for decades and can be attributed to significant academic contributions that have been made to scholarship at universities and other institutions in St. Louis. Austrian guest lecturers were invited by various universities and were provided the opportunity to offer their expertise to a receptive audience in the U.S.
One of the most well-known Austrian figures connected with St. Louis and the St. Louis University was Kurt von Schuschnigg. He served as professor of international law and political science for nineteen years at Saint Louis University, one of America’s oldest colleges with a Jesuit tradition. As the former Chancellor of the First Austrian Republic (1934 – 1938) following the assassination of his predecessor Engelbert Dollfuss, Schuschnigg fought for an independent Austria when confronted with the threat of German invasion and the rise of the National Socialists in Austria and had to manage the economy of a near-bankrupt state. During the last days of Austria’s independence, he decided to proclaim a plebiscite to be held on March 13, 1938, to resolve the political uncertainty in the country and to convince the rest of the world that the people of Austria wished to remain Austrian and independent of the Third Reich. This attempt was undermined when the German Wehrmacht invaded Austria two days before the referendum was to take place and Austria was annexed by Germany. He was forced to resign and was interned in various concentration camps until liberated by the American Army in 1945. After WW II, he emigrated to the United States, where as retired statesman he served as a guest professor at Saint Louis University (1948 – 1967). His wartime experiences formed the basis for his books, “Austrian Requiem,” “The Brutal Takeover” and “Im Kampf gegen Hitler. Die Überwindung der Anschlussidee,” (In the Fight Against Hitler. Overcoming the Idea of Annexation). He also tried to exonerate Austria from the allegation of willing collaboration with Hitler Germany. The personal incidents shared by Schuschnigg with St. Louis University students and faculty gave them a better understanding of this period. As professor at the university, a time Schuschnigg described as the best of his life, he was viewed as “a superb teacher – courtly in manner, tolerant in controversy, profound in knowledge and dynamic in presentation.” One of his former students who later went on to join academia recalls: “I took every course he taught. He was the man who stood up to Hitler. Schuschnigg made me want to be a teacher.” Recently in 2008, his library was donated to the St. Louis University Library. Schuschnigg’s son Kurt, an art dealer, emigrated to the U.S. in 1957 and in 2008 published memories of his father in a book entitled, “Der lange Weg nach Hause: Der Sohn des Bundeskanzlers erinnert sich” (“The Long Journey Home. Austrian Chancellor’s Son Reminisces”). In addition to human sciences and the liberal arts, Austrians have made major contributions to the field of medicine. Dr. Leopold Hofstatter, a neurosurgeon, who left Austria in 1938, obtained a research fellowship at Washington University. He had received his initial medical training at the University of Vienna, where he specialized in Anatomy and Surgery. In St. Louis Dr. Hofstatter first practiced Psychosurgery, and created a transparent model of the brain. He began a career in Neuropsychiatry – a single discipline in Europe at that time - and became particularly fascinated with Psychotherapy. Later, he taught Applied Neuroanatomy and Psychiatry at the Washington University School of Medicine. More recently, Dr. Peter Nagele, an anesthesiologist with the Dept. of Anesthesiology at Washington University in St. Louis, was awarded a Mentored Research Training Grant for his research on Pharmacogenetics and Perioperative Outcome and also received the Elmer-Zsigmond Award. Dr. Nagele has acted as President of the Austrian Scientists in North America (ASciNA) since November 2008. He studied medicine at the University of Innsbruck, completed his specialization in Anesthesiology at the University Clinic General Hospital in Vienna and earned the Professor of Medicine title from the University of Vienna’s School of Medicine in 2005. He completed his studies in Clinical Research (M.A.) from Washington University in St. Louis in 2009. A highly successful example of cooperation in Education exists between Webster University in St. Louis and its Austrian branch in Vienna, Webster's biggest campus outside the U.S. It was founded in 1981, and in 2001 was accredited as Austria's third private university. It currently has about 600 students from over 60 nations enrolled in its bachelor's and master's programs. Degrees earned from Webster University in Vienna are accredited in the United States as well as in Austria. The founding of the Austrian branch of Webster University began when the United Nations headquarters in Vienna was established thirty years ago. Inspired by the success of the University Geneva branch, Vienna’s Mayor Leopold Gratz invited Webster University to establish a branch in Vienna offering the best of the American educational system for UN diplomats and their families. The University maintains close ties with the UN organizations in Vienna and hosts joint conferences on a broad range of issues. The Vienna Journalism Institute of the University also publishes a monthly newspaper, called The Vienna Review. To this day the Austrian community and Austrian-American Society in St. Louis are very active and maintain close ties with Austria. The Austrian Honorary Consul, Dieter Ungerboeck, who has been in St. Louis for more than thirty years, founded Ungerboeck Systems International (USI), a software development company that serves all sectors of the events industry throughout the world, including the Olympics.